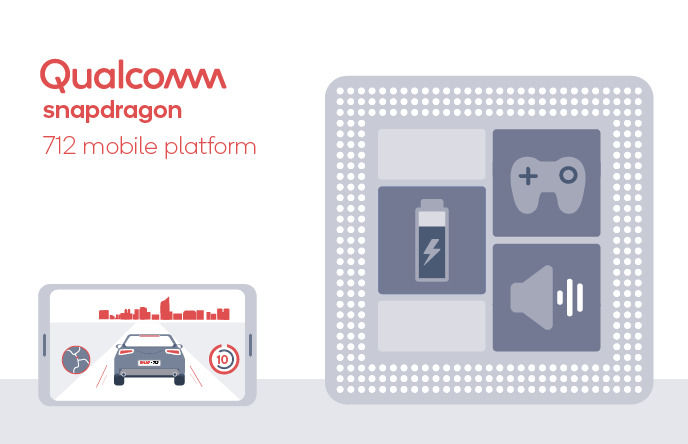 Qualcomm has released the Snapdragon 712 processor; however, it seems not to be much more than a refreshed 710 SoC. On one hand, the 712 may be 10% faster compared to its prececessor; on the other, both have the same GPU, Hexa DSP and X15 LTE modem. However, it supports Fast Charging version 4+ rather than 4. 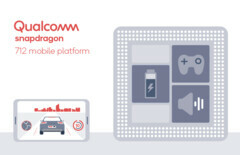 Qualcomm has announced the release of the Snapdragon 712, which appears to be a speed-boosted version of the Snapdragon 710 processor. The newer model is an octa-core 2.3GHz processor, whereas its predecessor is clocked at 2.2GHz with the same number of cores. Therefore, Qualcomm claims that it could be up to 10% more powerful compared to the 710. Obviously, this may depend on factors such as RAM configurations and OEM discretion. The 712 also retains the previous generation's Adreno 616 GPU, along with its Hexagon 685 DSP and X15 LTE modem. This last component allows for download speeds of up to 800 megabits per second (Mb/s) and upload speeds of as much as 150 Mb/s. Both chipsets support cameras of up to 20+20MP rear modules and a 32 MP single selfie camera. On the other hand, the 712's manufacturer has upgraded it to Fast Charging version 4+, compared to the 710's version 4. All things considered, this Snapdragon processor is likely to be found in many mid-range mobile devices this year.